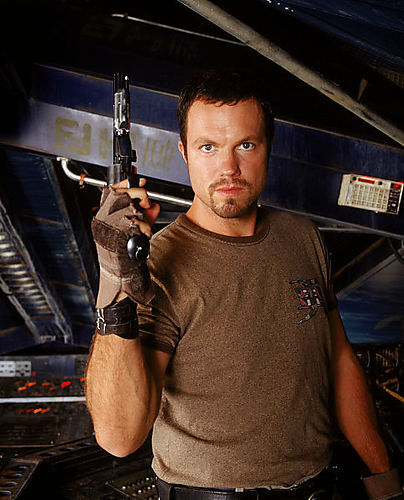 Every time I see Adam Baldwin announced as a guest for a convention, I get all excited, and then remember that I shouldn’t. I am chronically disappointed. Why? Because Baldwin, known to the fandom community as Firefly‘s Jayne, is also known for cancelling appearances. Just ask the Dragon*Con folks. He’s cancelled at least twice, if not three times, in just the past six five years or so. He was also slated to attend the upcoming Farpoint convention, and cancelled then too. Now, I understand that actors need to work, and that’s why almost every convention contract gives them an “out” if a paid gig conflicts with the con. But Baldwin has garnered a reputation for cancellations. Obviously he doesn’t cancel every appearance, or cons wouldn’t book him, but let’s just say I’m not getting my hopes up for his Wizard World Philly appearance. Also on the guest list for Wizard World Philly 2011 are Julia Benson (Stargate Universe), Bruce Campbell (Evil Dead), Vivica A. Fox (Kill Bill), Adam West and Burt Ward (Batman), Billy Dee Williams and Peter Mayhew (Star Wars), and more. The convention is happening June 17-19 at the Pennsylvania Convention Center in downtown Philadelphia. Visit www.wizardworld.com/home-pa.html for more information.